Healthcare management solution Map of Medicine was created by medical professionals for medical professionals, the company use the latest clinical evidence to provide its users with guidance that is accurate, relevant, and endorsed by the world’s leading medical bodies. Drive were approached to create both digital and printed collateral. 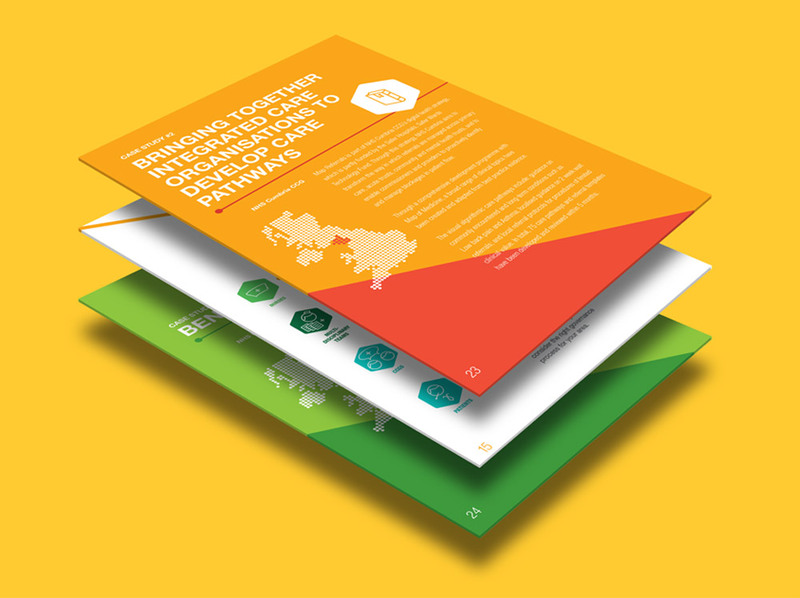 A product and services brochure and accompanying folder were created as marketing material, using the brands signature iconography and bright colour pallet. 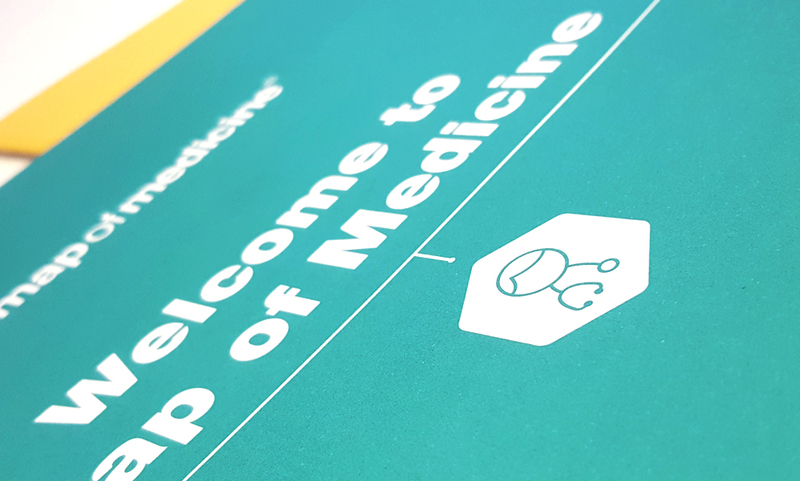 Map of Medicine, part of the global Hearst Health International group, also required an interactive Ebook to help guide healthcare professionals through the challenges of building integrated care pathways. This, created as part of bigger campaign (including social media advertising), evolved a series of academic articles into a more shareable and visually engaging document.